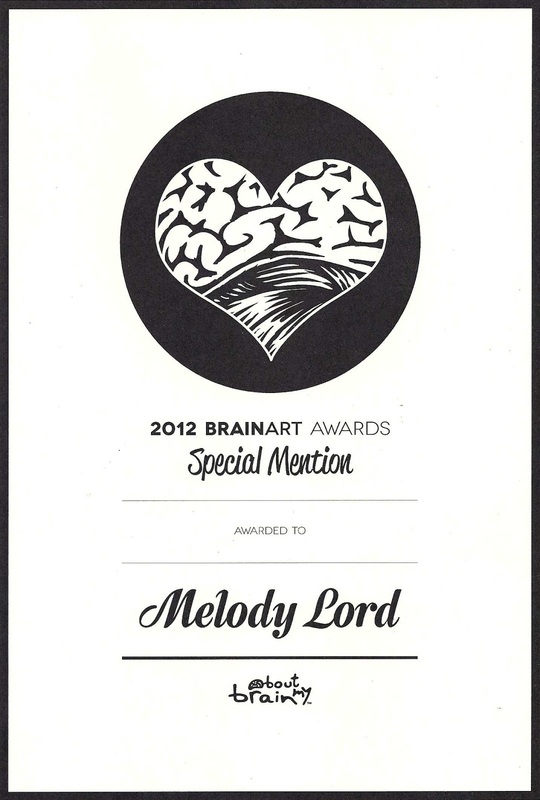 Last month I entered one of my artworks in the 2012 Brain Art Awards and I was thrilled to be selected for a Special Mention. The theme this year was Life, Pleasures and the Brain, so the artwork I chose to submit was Addiction, based on Dr Adam Hamlin's work with rats and cocaine addiction. I went along to the exhibition opening night, where I met a number of the other artists, including the major prize winner, Trent Woods. You can visit the virtual gallery showcasing all the finalists and their work here; or join the facebook group to see pics of the exhibition opening night and keep up with more BrainArt Project news. Thanks to Silvia and Relmi Damiano and the team for all their hard work. It really paid off!